Victoria Hospital. -- Herald file photo. The next step in building a new or upgraded hospital for Prince Albert is set to get underway. The 2019 provincial budget included $2.5 million in capital funds to “advance” preconstruction design activities for the Victoria Hospital redevelopment. 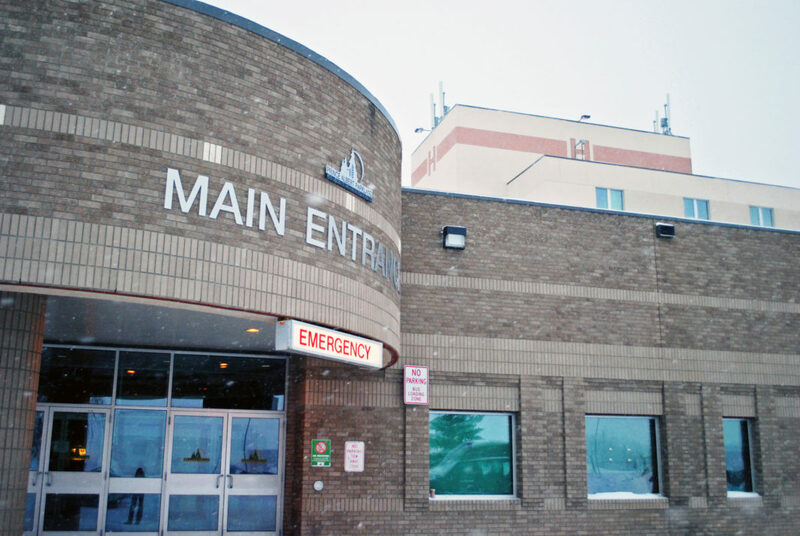 It was one of two hospitals to receive a $2.5 million funding injection, as an equal amount was set aside to begin planning activities for the replacement of Weyburn’s General Hospital. The funding will prepare both proposals to enter the final stages of approval. “That couldn’t make me happier, because that’s what I’ve been working on for the last six years,” Mayor Greg Dionne said following the budget speech Wednesday. Premier Scott Moe had reaffirmed a promise made by former premier Brad Wall that the province would fully fund a new hospital for Prince Albert. Moe said funding would be made available when finances permitted. The funding for Prince Albert will also include engagement with the federal government on the need to address increasing patient demand and service volumes for “this important northern hub,” the document read. Dionne predicted that the money will come next year for construction. All told, $25 million will be spent on capital costs for health facilities in 2019-20, with a planned jump to $45.3 million in 2020-21 and then a dip to $6.4 million in 2021-22. A report from a consultant as to whether new construction or an upgrade is the best way forward for the Victoria Hospital is expected this spring. The next step in hospital construction is not the only infrastructure money headed Prince Albert’s way. The province is spending $4.85 million to replace security infrastructure and reduce contraband at provincial correctional facilities, including installing a new body scanner at the Prince Albert Correctional Centre. The provincial government previously announced $42 million in highway repair and improvement under the New Building Fund for 2019-20, bringing that investment to $82 million including federal funding. The province is also spending on intersection improvements across Saskatchewan’s highway network. A press release indicated that $65 million would be spent over five years to improve intersection safety, starting with $13 million this year. An additional $7 million will be spent to reduce the frequency and severity of collisions. “The tragic accident involving the Humboldt Broncos in April 2018 put the spotlight on intersection safety in Saskatchewan,” Highways and Infrastructure Minister Lori Carr said in a press release. Nearby safety improvements including some along Highway 3 west of Prince Albert where it splits with Highway 55, along highway 3 East of Melfort and at the intersection of highways 6 and 335. In all, the 2019-20 budget provides for $2.8 billion in funding for capital projects. Over half of that is in the commercial Crown sector. Municipal infrastructure funding exceeds the $229 million mark, an 11 per cent increase from last year. That includes new funding under the Investing in Canada Infrastructure Program, as well as continued commitments under the New Building Canada Plan, Clean Water and Wastewater Fund and the public Transit Fund. SaskPower is using a large chunk of the capital funds allocated to Crown corporations. The utility has planned $873 million in capital investments for connection and generation assets. SaskTel has been allocated $321 million for capital investments over the next year for upgrades and the continued rollout of infiNET. SaskEnergy will spend $340 million to meet growing demand and to ensure the integrity of transmission and distribution systems, while SaskWater is planning to spend $32 million towards maintaining existing infrastructure and creating new water and wastewater systems.